Othello is a classic board game and can only be played by 2 players just like chess, checkers and go. The motto of Othello is "a minute to learn, a lifetime to master". The game board is made up of 8 rows and 8 columns. The board must be populated with 64 discs. They are colored black on one side and white on the other. This way, they can be flipped to the other color easily. One player plays discs black side up, the other white side up. 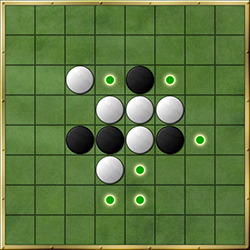 After the first 4 initial discs are placed, black open the game. You can play a disc when you flank one or more opponents discs between your new disc and any other of your own discs, in the same horizontal, vertical or diagonal line. The opponent's discs that are flanked will be turned upside-down and change color. When there is no possible legal move, the turn is given back to the opponent. When both players need to pass because there is no legal move left, the game has ended. The discs are counted. Whoever has the most discs wins the board game. The irony of Othello is that even though the entire board and all the pieces are in full visible, the best move is often far from obvious. Deciding upon the right move can be analogous to hunting for buried treasures: you need to know what it is you are looking for and how to go about finding it. 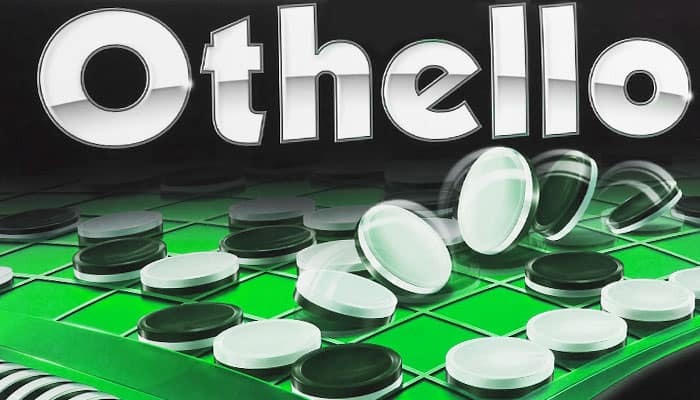 The best way to learn Othello is to read the rules of the game and when you have assimilated the rules, then read some articles about strategy and tactics and of course practice as much as possible. Play versus better human players. Don't play against computers as they are today very hard to beat. 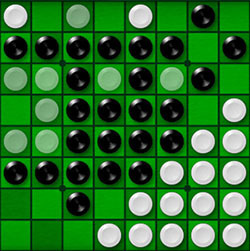 Othello is the trading name of a much older board game called Reversi. In the 19th century, John W. Mollett or Lewis Waterman invented the game under the name Reversi. It was then published in 1898 by the Ravensburger Company as one of its first titles. 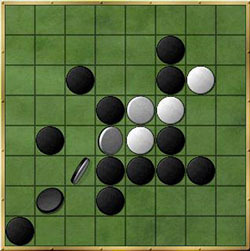 In 1970, Goro Hasegawa renamed the game as Othello and the game got marketed by the Japanese company Tsukuda Original, then subsequently introduced to the American market by Pressman. However, the board was in yellow with red and green chips, in contrast to the standard green board that has black and white chips. This new version modified some of the play of the reversi game and its popularity started to spread rapidly to Europe and North America. The first world championship was already organized in 1977. 64 discs coloured black on one side and white on the opposite side. The board will start with 2 black discs and 2 white discs at the centre of the board. They are arranged with black forming a North-East to South-West direction. White is forming a North-West to South-East direction. Discs played in the corners can't be flipped. If you can't take a corner, you can reduce its effectiveness by taking the squares adjacent to it.